The superb audio performance and outstanding durability of Alpine’s new Marine product line is based on over 30 years experience in the car audio industry. Alpine’s wireless RUE-M1RF remote control is a great additional gadget to control an Alpine Marine System anywhere on the boat up to 30 meters away! RUE-M1RF – The Handy Controller Alpine makes musical operation on the water convenient with this small and handy wireless remote control. 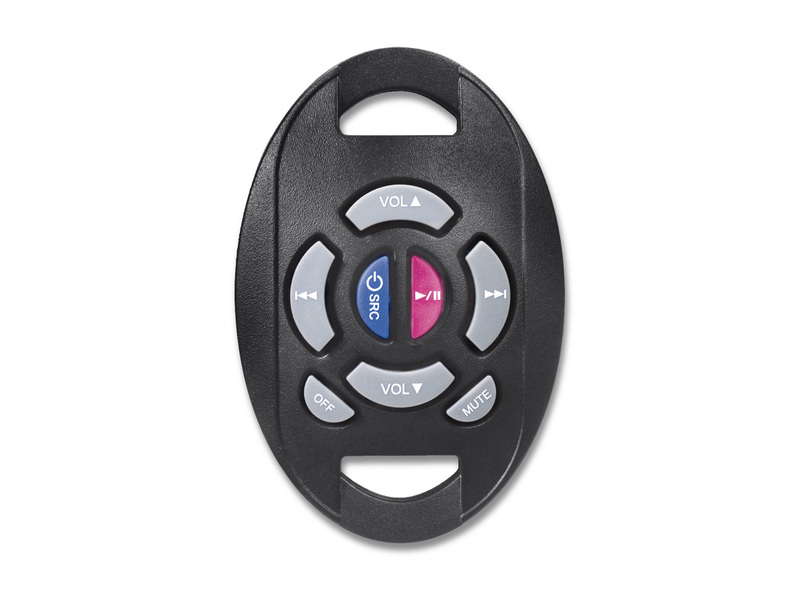 The RUE-M1RF is a user friendly RF (Radio Frequency) remote control to access the Marine system from anywhere up to 30 meters away from the boat. By using 433 MHz RF (Radio Frequency) technology the wireless transmission remains stable even over long distances. In addition, the RF remote system avoids the problem of sun reflections that interfere with an infrared remote signal direct sunlight conditions. 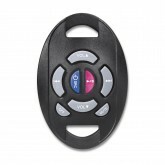 Wireless Remote Control This wireless RF remote control is small enough to fit on a keychain or in your pocket. It completes every system with the convenience to even control it from outside the boat. 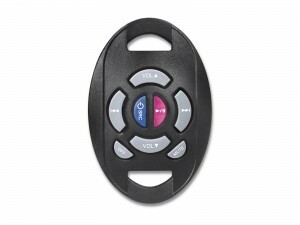 Alpine makes Operation Convenient Two Remotes for Your Alpine Marine System. The MC-10 Wireless Remote Commander lets you control your music sources and view menus and other information on a large, two-line display. The unit is completely waterproof, so you can install it in any handy location, such as into the fly bridge on the sundeck or even on the swim platform. Additionally, the Handy Commander, RUE-M1RF, can be carried and used around the boat or even from outside the boat within a range of 30 meters. Its small size fits on a keychain, lanyard or simply in your pocket.